The sad suicide of Robin Williams last week has sparked another 'conversation' in the press and on social media about mental illness - and more particularly about the link between creativity and depression. I think this 'conversation' - and the dispelling of ignorance and myths about these conditions by those of us who are sufferers speaking out honestly - is very important indeed. It is, if you like, the inner and unseen darkness we need to make visible, which is why I have written before, both here and elsewhere, about my own battles with the Beast of chronic depression and how, in some of those darker moments, I turn to writing poetry as a way to battle the demons. Externalising them on paper is, for me at least, a way of dispersing some of their power over me. Sometimes, though, when the despair becomes a deep physical paralysis, even the act of writing a single word seems impossible, and it at those times that the 'world would be better off without me' thoughts creep in. To the 'well brain' this is inexplicable - but the 'well brain' of a depressive is not always in charge. That is what the people who accuse Williams of 'selfishness' need to understand. Suicide, where mental illness is concerned, is not a choice. It is the last, most desperate act of a despairing brain which just wants the demons to stop eating it. When I was first officially diagnosed with depression, I had a deep need to find a way to understand it which avoided medical jargon (to which I am deeply allergic). Being a writer, I turned to other writers to see what their experiences were - and how they had coped. 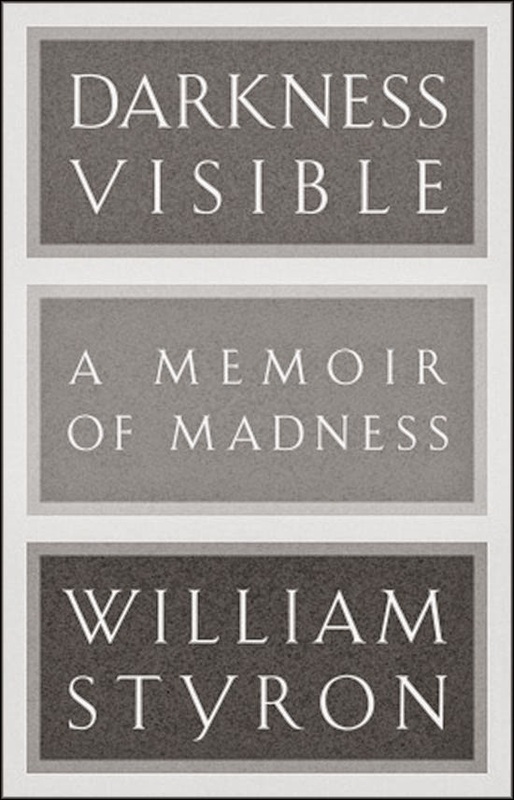 The first name which came up was William Styron, whose book, 'Darkness Visible', about his own journey through depression became my manual. The title comes from Milton's 'Paradise Lost'. Writing is, for the most part, a solitary profession. In my case, I mostly sit in a room, on my own, making stuff up and setting the visions that churn around in my head down on a screen. It is hardly surprising that, living as I do in a daily creative world where evil Egyptian crocodile deities demand human sacrifices, immortal beasts battle horrid heroes and skeleton dragons with flaming red eyes menace innocent children, my own mind should sometimes rise up against me. Every writer, whether with depression or without, will know that little nagging head voice which tells us that what we do is unutterably useless and pointless. Styron describes his thought processes 'being engulfed by a toxic and unnameable tide that obliterated any enjoyable response to the living world.' Reading those words was, for me, a recognition akin to a light being turned on in a dark room. When I first read Styron's book I did what I never do (being a respecter of the sanctity of the printed page). I underlined and made comments and wrote 'YES!!' in large capitals in many places. I have scribbled a lot more on it since. I felt as if, finally, I had found a fellow wanderer in an empty desert who could describe not only what and how I was feeling, but also do it in words simple and direct enough that others--those 'healthy people' on the outside of this condition--might be able to understand too. When Styron speaks of the 'weather of depression', I understand precisely what he means. For him its light is a 'brownout', for me a greyish fog impossible to see anything in except blurred shapes and outlines. It's hard for me to describe how strengthening and comforting it felt to read something which made sense of my own experience, and which reminded me gently of how many other writers have been in the depths of the pit too. Shakespeare certainly understood it - how else would he have written Hamlet? Emily Dickinson, John Donne, Camus, Manley Hopkins, Beethoven, Van Gogh - these and so many more were troubled by the Beast, so I am in hallowed company when I travel through Dante's 'dark wood'. For now, I am in a stable place, where it is possible to 'riveder le stelle' - to 'behold the stars once more.'. But when the Beast visits again (as it inevitably will, because that is its nature) I will try to remind myself that I am not alone. This is very moving and interesting, Lucy. Thank you. I hope the Beadt stays away from you ....and yes, that is one splendid book! Styron's book isn't one I've come across before so thank you, Lucy. A helpful and inspiring post. Thankyou Lucy, I understand a little, having at least once in my life experienced the awful darkness and terror of depression. Thankfully it has not revisited me, but I will never forget. Excellent piece, Lucy. Thank you. Thank You Lucy. Depression is a condition that has visited me and I have ben able to look after myself in those lonely times. I understand Robin Williams, moment of final despair, the demons were eating him alive. Many people go to this stage and it needs to be understood its like dying of cancer of the heart and mind. I dislocation from the soul where hope is lost still in pandora's box. I deeply appreciate your candour, Lucy. I wish I could do battle with your Beast - sadly I am wrestling with my own bog-monster at the moment. Thank you, fellow traveller. This is such a moving and brave post, Lucy. I have been there too and it helps to see things put so clearly. For many people, the Black Dog is never too far away but maybe the next time yours visits, you'll know that you're not alone, and that people do understand what you are going through. I know that beast too, Lucy, he slunk around through most of my teens, twenties and thirties, but since then, thank God, he's kept away. Other people talking and writing about it is vitally important to help those who are in that space feel less alone and perhaps also less crazy. Power to you, speaking out - attitudes may change, but for now it still feels generous and brave. I know that when the beast is there he tries to block your ears to the sounds of people showing how much they love you. If you can beat the beast on one thing, let it be that, so you never forget how you are loved and how important that is. Yes, while the media reaction to Robin Williams' death has been more sensitive than has often been the case, there's a lot of hot air around 'why didn't he get help!' and 'don't be weak like him, seek help!' in media and social media. The reality is that if he made it to age 63 he probably sought a lot of help. Depression or bipolar is seldom fixed by one course of drugs or therapy; it's often a lifelong burden.